If Clearer's mains Hub seems distinctly aspirational, a pair of interconnects costing about the same as six full-price CDs is a much less frightening proposition. Indeed, the 0.5m pair supplied for review comes in at only £70. The one argument some might find for using longer cables, particularly with stiff designs like this, is that it allows for easier routing. Still, this may be thick (8mm) but it is not too springy and showed no obvious signs of objecting to tight-radius bends. Clearer has gone for a 'pseudo-balanced' construction where the screen is connected at one end only, with a conductor (identical to the 'hot' one) underneath the screen carrying the earth current. This can make the cable directional and, while Clearer has adhered to convention in marking direction, it's worth trying the 'wrong' way too. This may sound better, worse or the same. Termination is in Eichmann bullet plugs, which have a plastic body and lone earthing point. All in all, we were very taken with this cable. It seemed, in every application we tried, to give a quality of sound way out of its class. Perhaps most notable is its excellent treble, which is open and airy and absolutely without the dryness than can afflict many cheaper interconnects. At the same time, detail across the audio band is very clear and beautifully etched, making for stable, plausible and precise stereo images. Finally, the bass is extended, strong and tuneful and, if it very slightly lacks in 'kick' on the odd musical occasion, that seems a small price to pay for the excellence elsewhere. 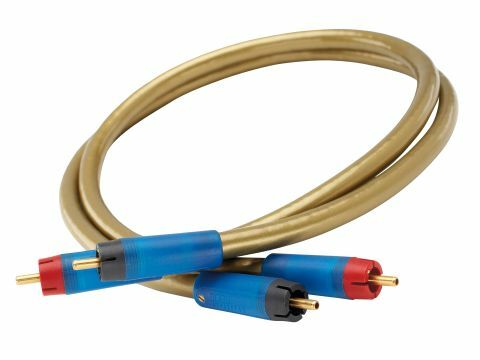 A great cable at a tempting price.